Summary: Food is such a big part of family life, holidays, and celebrations. 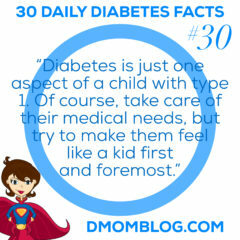 But the food we feed our d-kids and the timing of that food can affect blood sugars and diabetes management. It’s important for d-kids to have a good relationship with food. 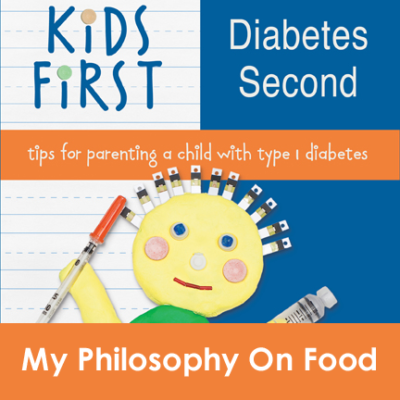 This excerpt from the “Let Them Eat Cake” chapter of my book Kids First, Diabetes Second is about my philosophy on food. Here’s my philosophy when it comes to food—everything in moderation. 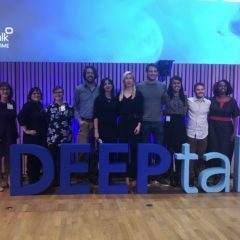 Almost every aspect of diabetes management is connected to food. The amount and type of foods eaten determine how much insulin is given at mealtimes. When blood sugar levels are low, we use food—often in the form of juice, candy, glucose tablets, or other quick-acting carbs—to bring that blood sugar back in range. When blood sugar is high, low- or no-carb snacks might be given to a hungry child instead of a regularly scheduled snack. Food is also a central focus in many aspects of life. We celebrate birthdays with cake and ice cream. On Halloween, we go trick-or-treating, filling bags with candy. We put candy canes in Christmas stockings and hunt for plastic eggs filled with treats at Easter time. Almost every holiday we celebrate has a sweet food associated with it. 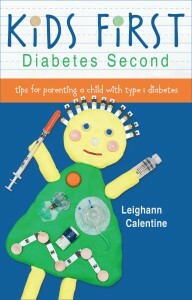 There are two reasons why I think that children with diabetes should not be forbidden from partaking in such traditions. First, these celebrations are part of being a kid in our society, and there’s no better way to reinforce to your child that they are different than to tell them no. Second, given that diabetes care is so tied to food, the potential is great to create food issues that your child will struggle with for his or her entire life. Of course, there are times when you will have to tell your child no to having certain high-carb foods. While I take the “everything in moderation” and “let them have cake” approach, I don’t let my child eat anything she wants, any time she wants. It depends on the circumstances and/or the food. For instance, when we are at the bank and they offer her a lollipop, I might tell her to hold onto it until later if it’s not snack time. Q was even offered candy when she went with me to vote. Rather than getting upset about someone offering her candy and launching into an explanation that she has diabetes, I simply say thank you and tell her that we will save it for later. Because that’s the routine, it’s not upsetting for her. But if you have other children with you, you might tell them to do the same. The preschool that Q attended, and our son now attends, has several great parties each year that take place between dinner and bedtime. One of the coveted activities is cookie or cupcake decorating. The fun is in the decorating, and that’s not something I wanted to deny Q. 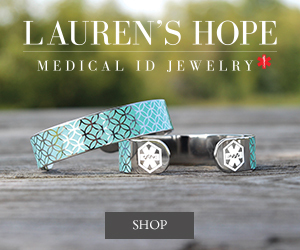 At the first few parties after her diagnosis, she was still receiving injections. Having this treat would mean that she would need an extra injection. Because there were so many other activities for the kids to bounce around to, it was not a problem for Q to decorate her cookie or cupcake, and then move on to the next activity without eating. Instead, I wrapped up the treat and took it home so she could have it the next day with a meal, therefore avoiding the extra injection. 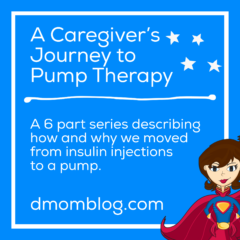 When she began the insulin pump, this became a nonissue because giving an extra bolus is no big deal. By restricting or forbidding some foods, you run the risk of making them even more tempting to your child. Make something completely off limits, and I guarantee that your child will seek it out. I have heard several stories from parents describing this exact phenomenon. One child was having blood sugar levels in the 300s, and the parents just couldn’t figure out why. While doing laundry, they found wrappers in the child’s pocket from candy that her friends had given her. Because candy was forbidden, she ate it secretly, without giving herself insulin. I personally feel that creating categories of off-limits foods can create dishonesty. 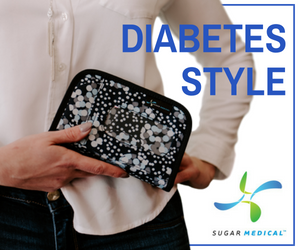 A main theme of diabetes management that I see in adults is that you need to be honest with yourself in order to manage it effectively. It’s our job as parents to foster good habits in our children so that they can make good choices as teens and, later, as adults. What’s worse: letting your child have candy or dessert once in a while with your knowledge or creating a scenario where your child feels the need to sneak certain foods? 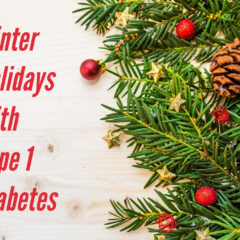 If you choose to allow your child to eat desserts and candy, they can be consumed at appropriate times with corresponding insulin. I have also found that including sweet treats as part of a meal lessens the blood sugar spike.